Poured from a 12 oz bottle into my brandy snifter. 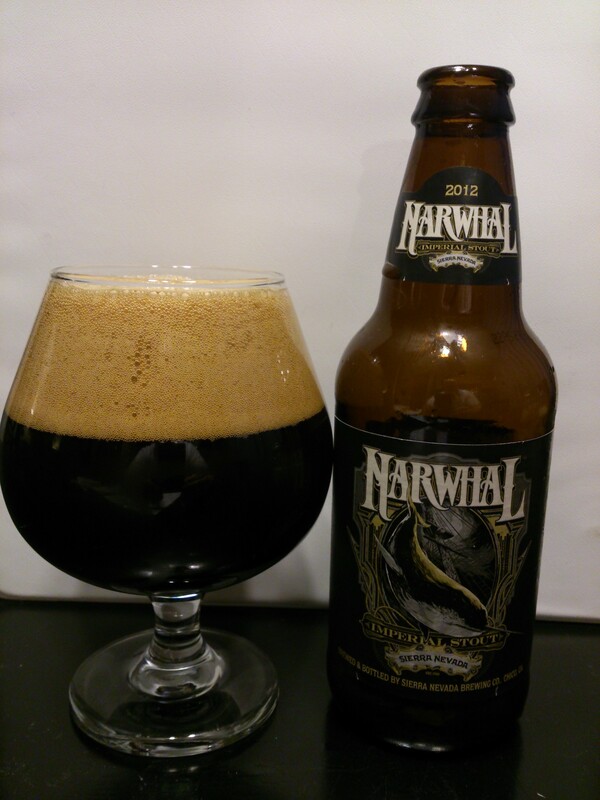 Narwhal pours a thick, oily jet-black. 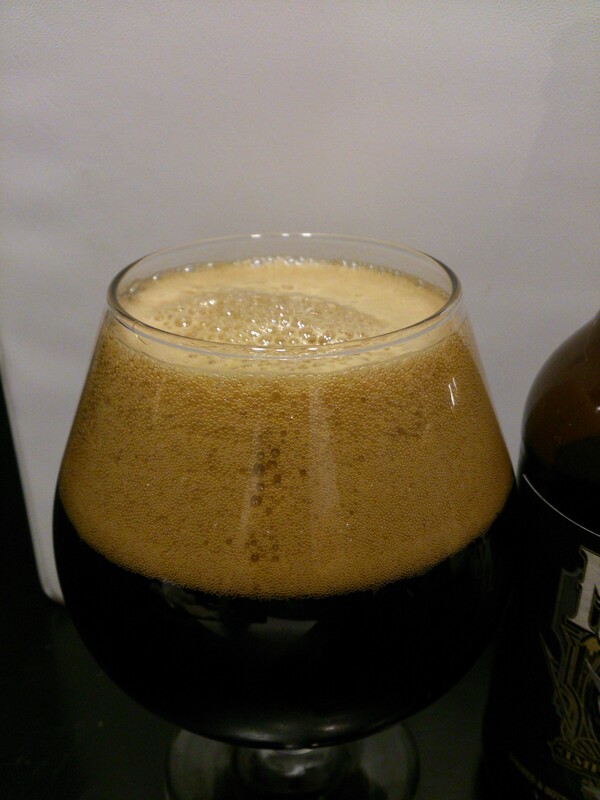 The head is dark khaki, beginning dense and foamy before settling into a thin layer throughout the duration. Moderate lacing was left on the glass. 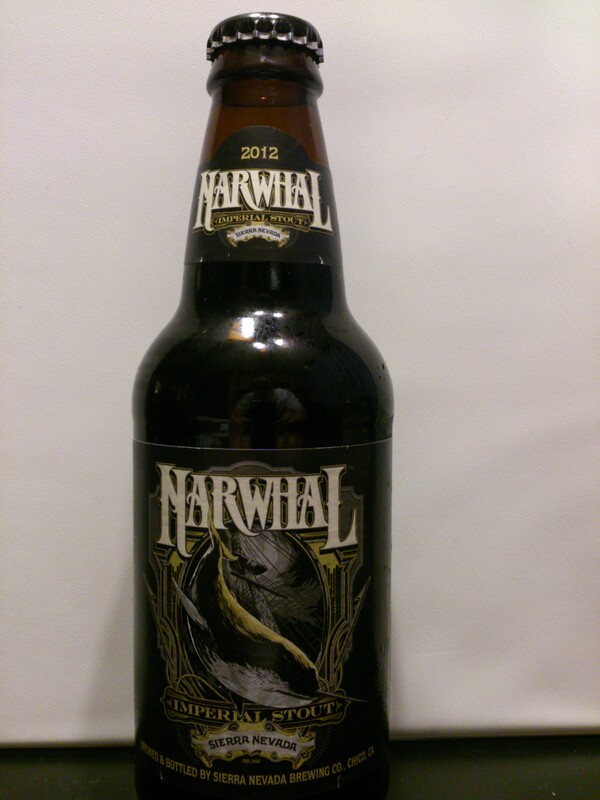 Immediately after popping the cap, a thick dark chocolaty/burnt-malt scent emanates from the bottle. Under the generous malts lie a bit of black licorice, dark fruits, a hint of hops. There is also a pretty good alcohol aroma. Initially rich, velvety, and smooth. This leads to a moderate bitter alcohol burn on the back end. 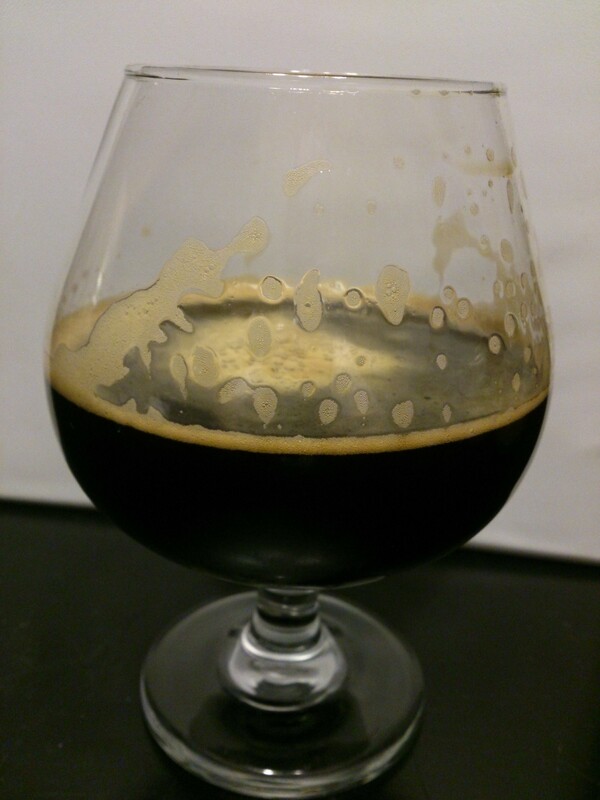 There are generous amounts of bittersweet malts, leading to a long-lingering palate of dark chocolate, coffee, caramel and smokiness. 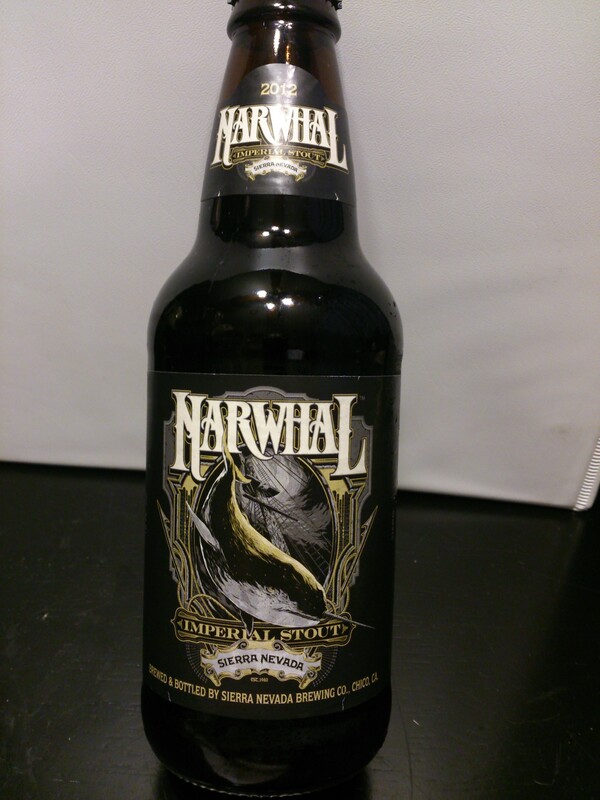 I didn’t get much in the way of hops on the mouth, but my Narwhal burp was nearly all hop (weird, right?). The alcohol really warms me as the flavors linger.